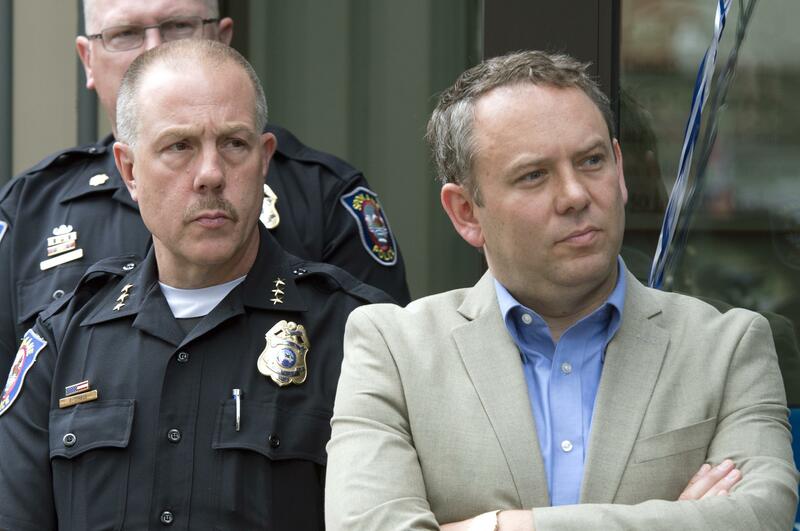 The political fallout of two reports with different conclusions on Mayor David Condon’s alleged involvement in a scheme to prevent the release of public records until after his re-election could land most heavily in the office of the city attorney. City Council President Ben Stuckart and City Councilwoman Karen Stratton pledged to block one of Condon’s political appointees as a result of the report. That document emphasized the city attorney’s office role in delaying answers to the motives behind former police Chief Frank Straub’s forced resignation. Stuckart and Stratton said Wednesday they could no longer support Laura McAloon as Condon’s appointee for city attorney, following the resignation of Nancy Isserlis this summer. Isserlis is cited in the investigation as one of three top Condon officials who delayed the release of public records until after Condon’s re-election. Stratton stopped short of calling for Condon’s recall. But she said former Mayor Jim West “was recalled for a lot less than what was in this report.” West was voted out of office in 2005 after allegations that he had abused his position as mayor to solicit dates with young men. Condon said Wednesday that he has a “strained relationship” with the Spokane City Council, but that the only way to rebuild it is to use the conclusions of the report and focus on improvements at City Hall, specifically in human relations and public record keeping. “We will build trust back, project-by-project, but it definitely is strained,” Condon said. The hostility between Condon and members of the progressive majority of the City Council reached a head Wednesday, when an early version of the report by investigator Kris Cappel was released that targeted Condon in addition to his top staff. Rick Eichstaedt, the attorney representing NOW in its ethics complaint, said the report bolsters his group’s claim that Condon lied about having knowledge of a sexual harassment complaint against Straub during a news conference announcing the former chief’s departure. “This report, pretty much, it has to conclude that he violated the ethics code,” Eichstaedt said. While City Council members criticized McAloon on Wednesday for her role in the release of the second report, Condon said their fellow council member Breean Beggs has also raised concerns about the finding that Condon and his spokesman Brian Coddington “intentionally withheld information” leading to the November election. “We couldn’t see anything that substantiated that,” Condon said Wednesday. But Beggs disputes that. He said he called Cappel on Monday following an executive session of the council to inform her of their response to the report. Beggs said he believed Cappel’s assertion that the decision to alter some findings to omit Condon’s and Coddington’s names was hers alone. “It rang true to me,” Beggs said. Still, Beggs also is calling for an elected city attorney. “It will be more effective for the city attorney to be elected so there’s no question they’re working for the citizens, and not a particular department or person,” Beggs said. Condon said Wednesday he wasn’t pondering any personnel changes as a result of the report, and that he would continue to back McAloon in the confirmation process. Stratton, Stuckart, Beggs and Councilwoman Lori Kinnear also stressed their attention was on protecting city employees from future harassment and empowering them to come forward with concerns. “What we have in place right now is clearly not working,” Kinnear said. Published: July 27, 2016, 7:31 p.m.